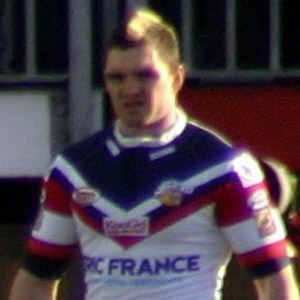 Halfback and five-eighth who played internationally for England in 2012 and for Scotland from 2004 to 2013; won the Man Of Steel while playing for the Huddersfield Giants. He debuted for the York City Knights in 2004, appearing in 12 games. He played for the Wakefield Trinity Wildcats from 2008 to 2010. He grew up in Dewsbury, West Yorkshire, England. Sonny Bill Williams just beat him out to win the RLIF International Player of the Year award in 2013.